SMS ‘RESET‘ IUC NUMBER’ to 22688. The IUC number is the number on the red sticker while 22688 is GOTV Kenya short code. Ensure that your decoder is swtiched on while you do this so it can receive the signal. The SMS charges for your mobile company apply. It is important to note that the GOTV subscription rates were increased with effect from 15th May, 2016. If you paid the same amount you used to pay before, that might be the reason you are still getting the E-16 error. 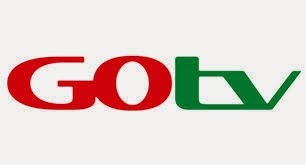 See the new GOTV rates here to find out how much you need to pay now. I paid but an e32 error still is there and no signal. How do I correct the error. The e-16 error is normally a reception issue and not payment issue. Check your aerial and adjust it to improve reception. If you have an e-16 error though, just give me your IUC number and I'll have it fixed. Kindly connect for on my Gotv A/NO 2018521678. I would like to pay less but not ksh850. Please make my payment to be easy. If possible make even to be KSH150. Please kindly its my own request. I have error e16,IUC NUMBER IS 4624081976 please rectify for me its hectic I cant resolve it at all…. Kindly assist me to clear E16 erro on my decoder my IUC NO IS 2017775420 in have already pay.i paid on 01/02/2016 via mpesa. Have paid for my decoder but am not getting the services I had paid for. There is still a disclaimer on the monitor that I have to pay 849 shillings . why so and I have paid. my IUC NO. IS, 2018615527. Hello, I already paid for my account 2018569213 and up until now it still shows the E16 error code. I have tried endlessly to contact the customer service numbers and none is going through, this is not forgetting the fact that all the other times i tried contacting the same numbers it was same case scenario, which I think is preposterous. I need this sorted out soonest possible. If not so, give alternative numbers through which I can contact the customer center and which are working. Regards. Hi. I subscribed to go TV last month. I made the first payment of 849 but still there's an e 32 error. What is the problem? Hi, I am kindly requesting whether I can be assisted to clear error E66-32 on my Gotv; IUC number is 2002928232.I have already made payment and nothing is forth coming despite following the laid out procedure. Pliz assist I paid but still not connecting my IUC Number is 4622820312 its not the first tym.thank you. Av done all, my decorder isn't responding. Assist please. IUC 4623632357. E16 error is my prob. Please to clear it my IUC Number is 2018749855. Kindly clear error code IUC 2017465077. I've paid yet e16 error not clearing using laid down procedure. Thank you. Check my decoder saying error E66-32: this channel is not authorized for viewing. Please contact the gotv call centre for assistance. clear this E16 for me please. My IUC numbers is 2019015438. what happened with September offer for free viewing? Kindly clear error E16 i hv already paid. Assist clear this error E16 and E66-32. My IUC no.2003673554 the error has been there for a week now ver frustrated. Assist clear this error E48-32 and E16 on my decoder.My IUC is 2003673554. Please reconnect my account I paid yesterday but still not showing I can only view KBC. Hi, I paid on 10th october2018.till now channels have not been returned. My ICU NO. is 2017494401 phone no. 0720480323. Henry Mokua Momanyi.pls fix the problem. Kindly clear E16 error IUC 2014130899.